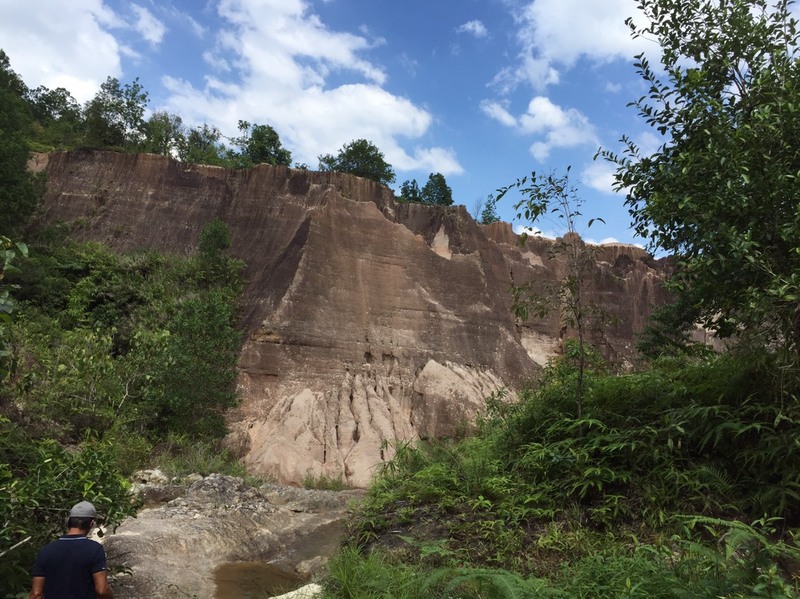 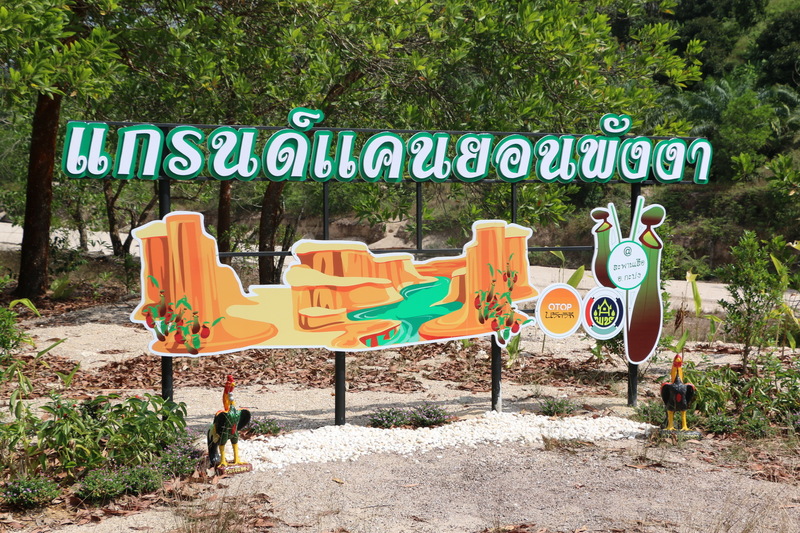 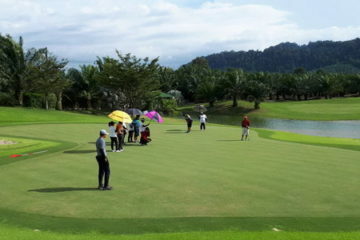 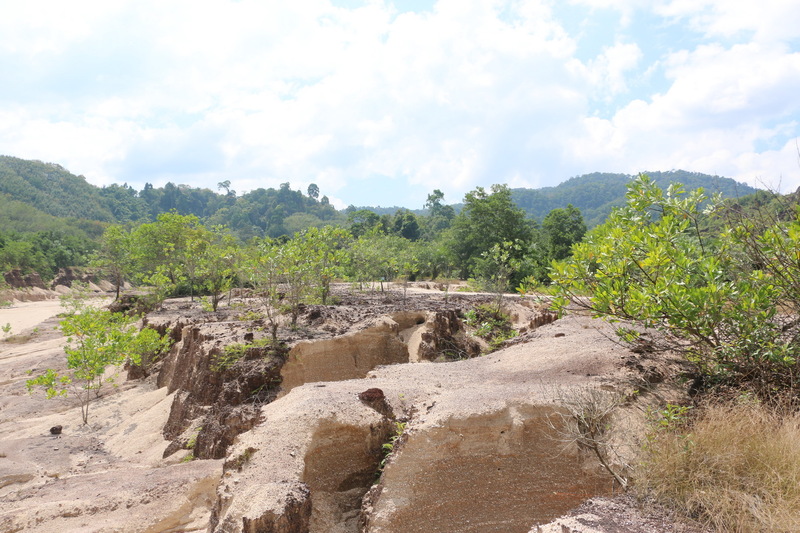 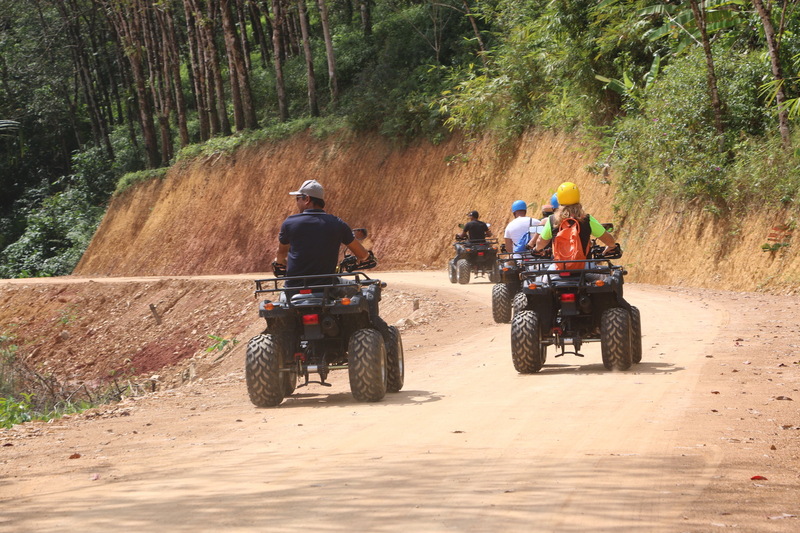 If you’re looking for a new way to explore the natural wonderlands of Phang-Nga province, it’s time to experience a different and unique All-Terrain-Vehicle tour. 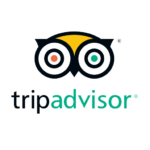 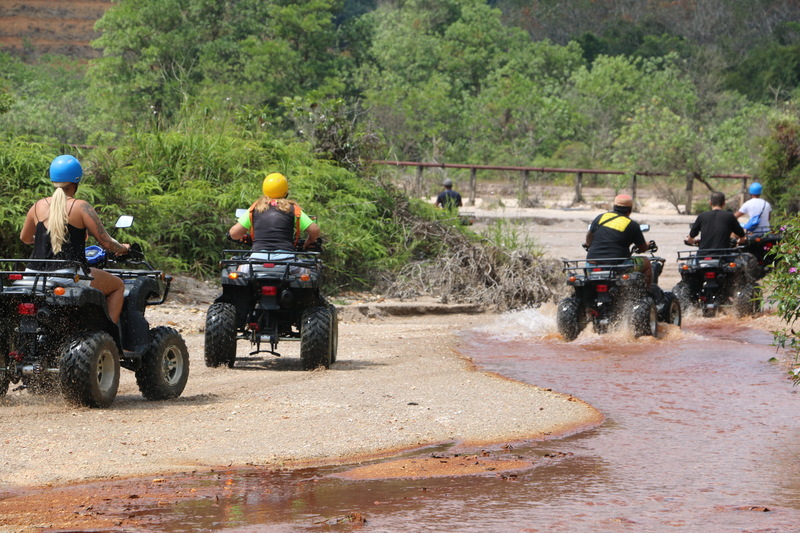 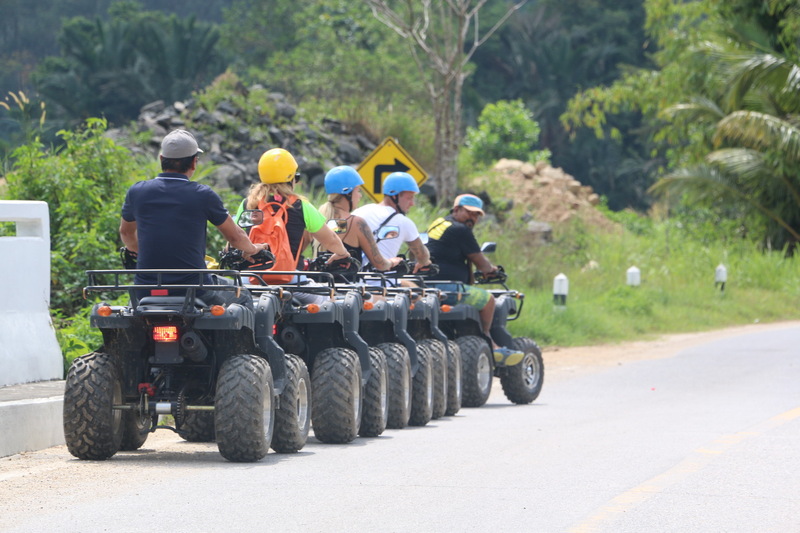 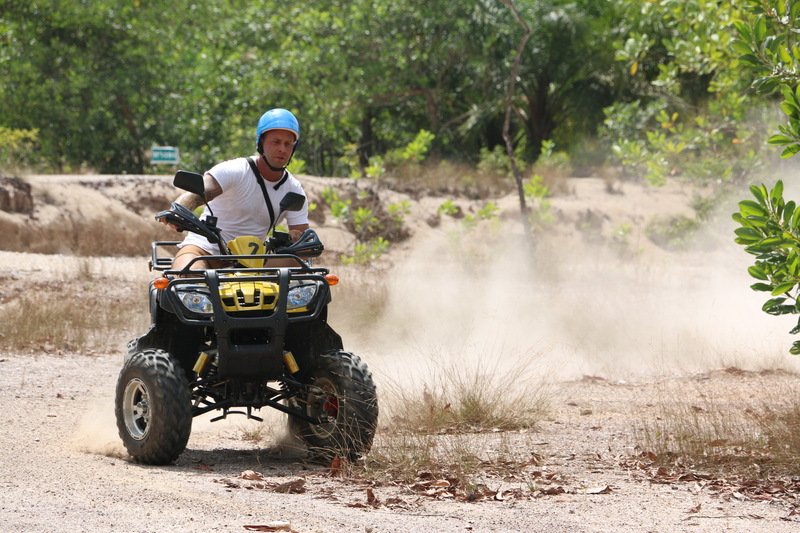 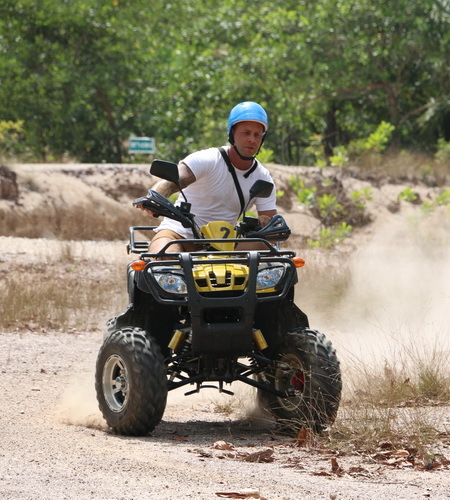 Enjoy a fun and safe ride through real untamed rainforests.The objective of these tours is to introduce the unseen side of Phang-Nga province, to all nature lovers and adventure seekers.Our ATV bikes are fully automatic, safe and easy to operate. 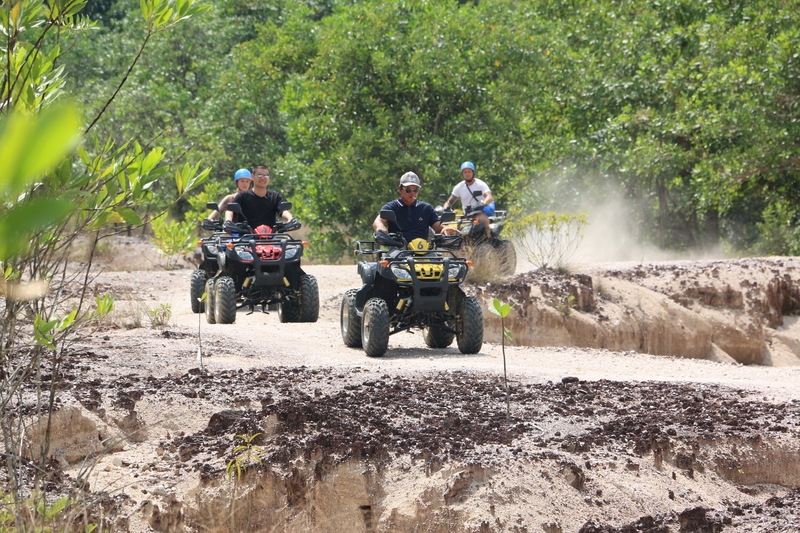 There is no prior riding experience needed to join our one of a kind tour. 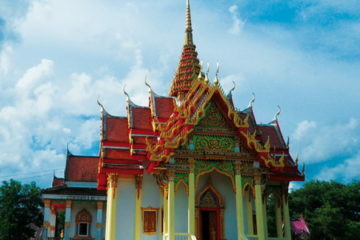 Before heading to the nearby town, you will enjoy a traditional thai lunch. 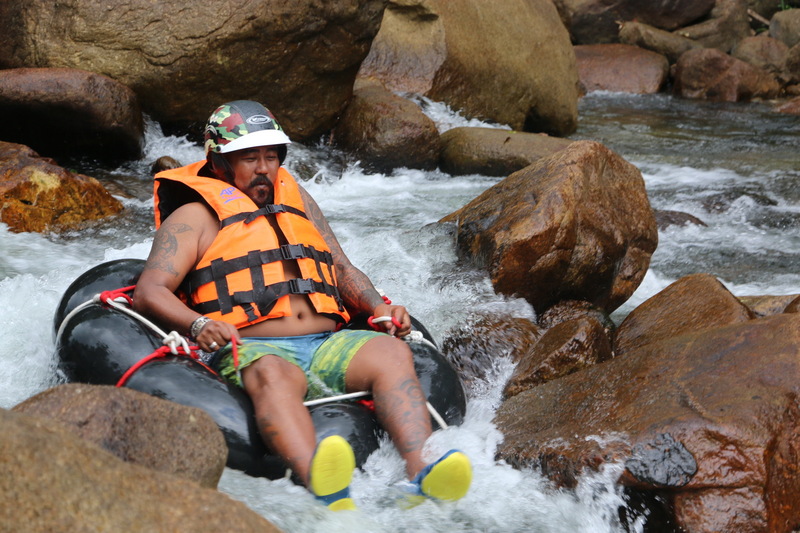 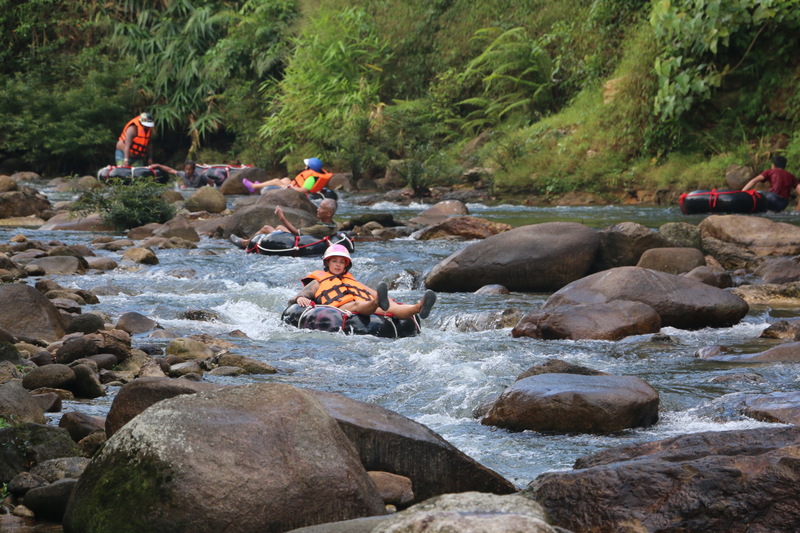 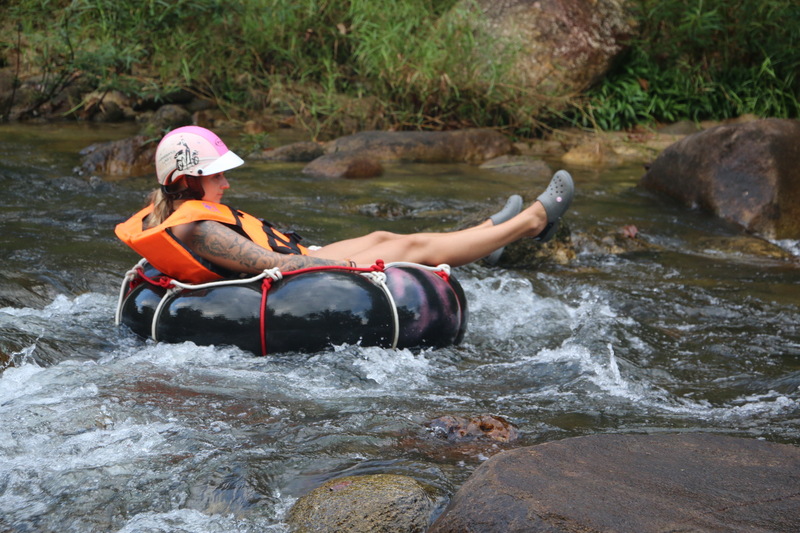 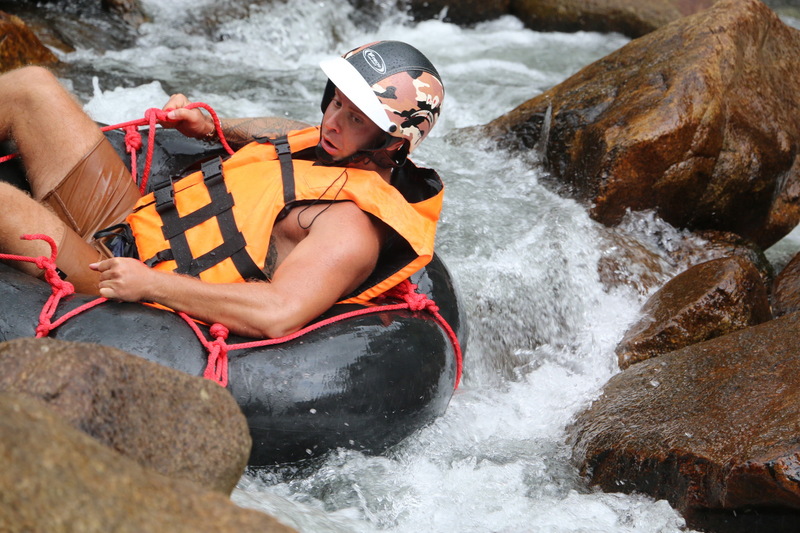 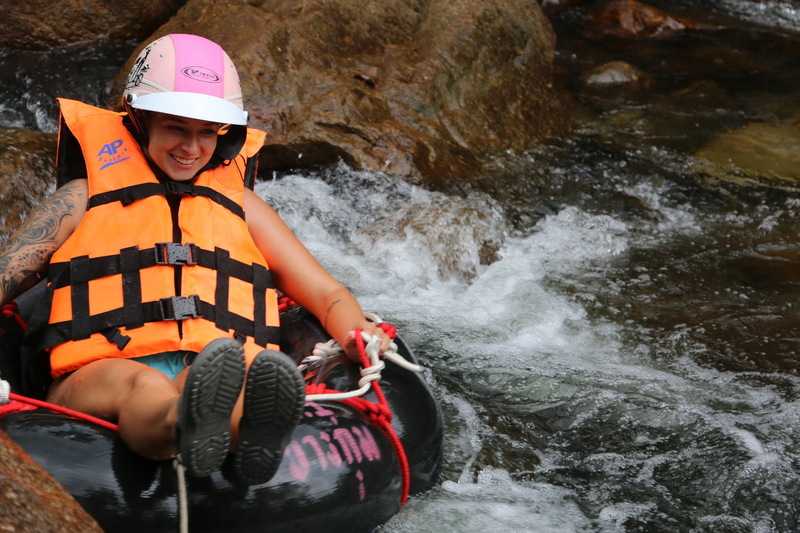 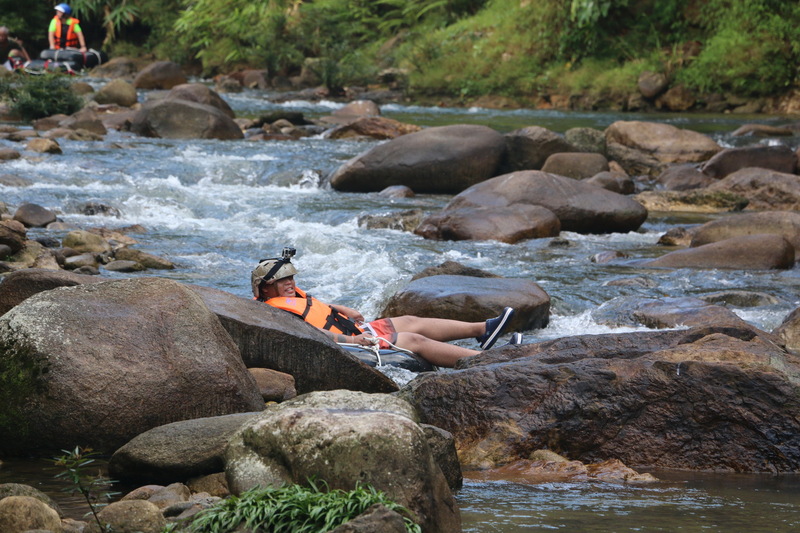 After that, we will take you to the nearby town where you will hop on a rubber tube made out of a car tire and ride the tube down the Hin Lad Waterfall. 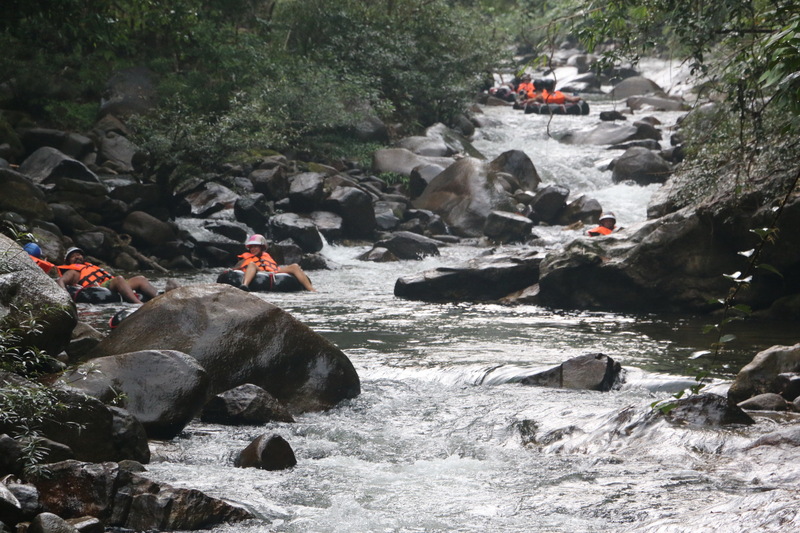 There are many staff standing at all the more difficult sections ready to help us to avoid getting stuck in the rocks and keep us descending fluidly along the river for the most possible fun. 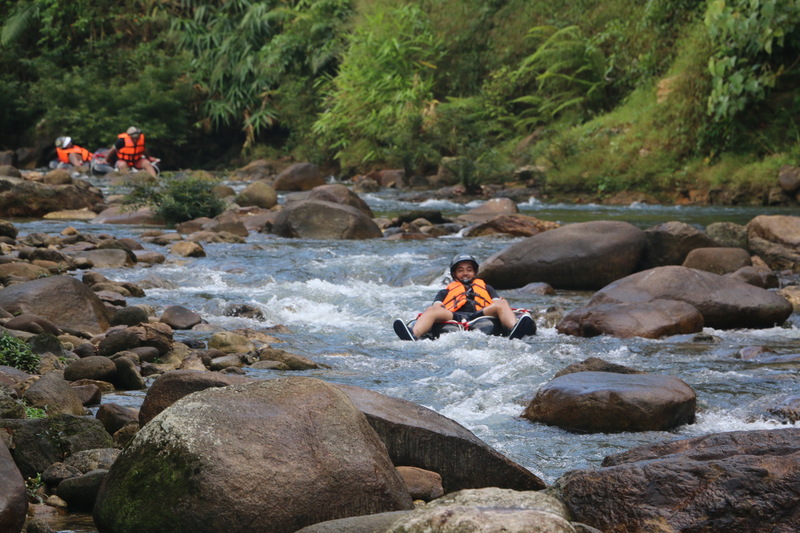 The descent took approximately 30 minutes, or at least this is what we guess, because we had so much fun that we didn’t really notice the time flying.